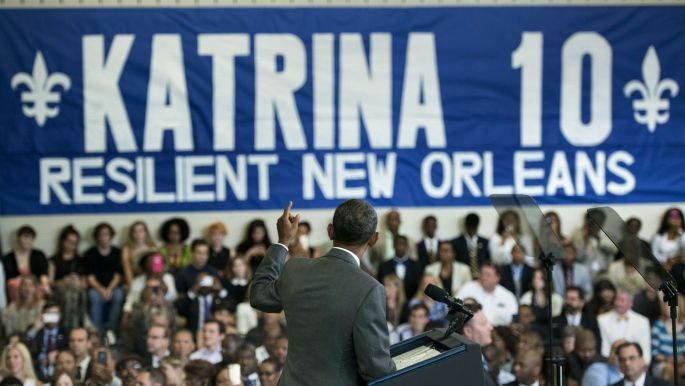 While serving the City of New Orleans, Ryan managed and produced the development of “Katrina 10: Resilient New Orleans”, a strategic communications project that showcased and documented the remarkable recovery of New Orleans following the devastation of Hurricane Katrina. Funded by the Rockefeller Foundation, the project tells the story of the greatest comeback story around -- how one of America’s most treasured cities returned from the brink of devastation after surviving the costliest natural disaster in U.S. history. Ryan worked in partnership with national public affairs agency SKDKnickerbocker and the 2018 NOLA Foundation to demonstrate to an international audience how New Orleans is an example of a 21st-century resilient city for present and future generations of leaders. Ryan led a large team of staff and consultants who developed communications and media strategies around the anniversary for local, national, and international audiences. While balancing the intense media attention and response the anniversary garnered, the team produced a full week of commemorative events that included almost 70 media panels and brought three U.S. Presidents to New Orleans. Join our newsletter to receive occasional updates about our clients’ successes.